You are shipping a lot of parcels, packages or letters that you need to label and keep track of? With the shipcloud connector you can generate and print shipping labels for DHL, Deutsche Post, UPS, DPD, Hermes, GLS, FedEx, TNT directly from your CRM system. Integrates with all standard modules that contain address information and custom modules as well. 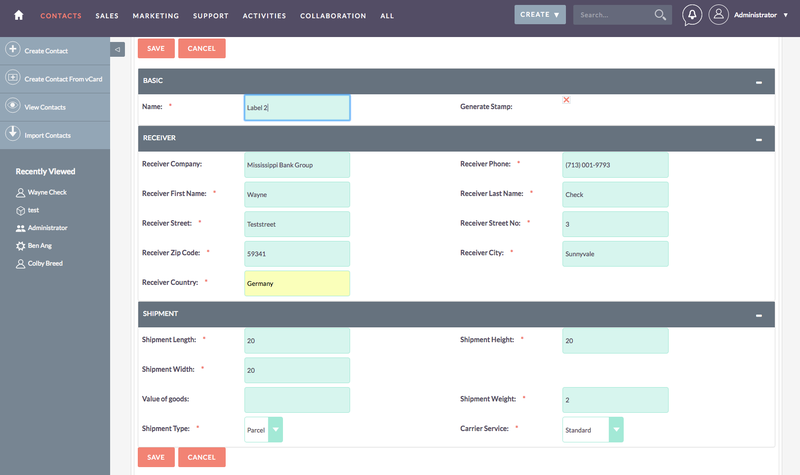 Flexible field mapping allows custom fields to be processed too. Allows effective cost control while generating labels from SuiteCRM & SuiteCRM thanks to leveraging the popular cloud shipping service https://www.shipcloud.io. Shipcloud.io supports many of the most popular carriers. You can change your preferred carrier at anytime on the configuration page. 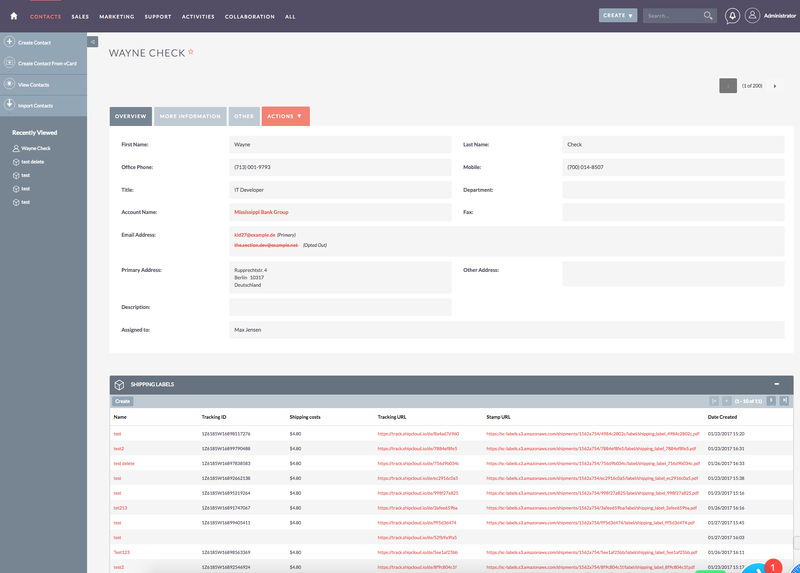 Currently SuiteCRM are supported. Professional support is coming soon. If that is you please let us know that you are interested. 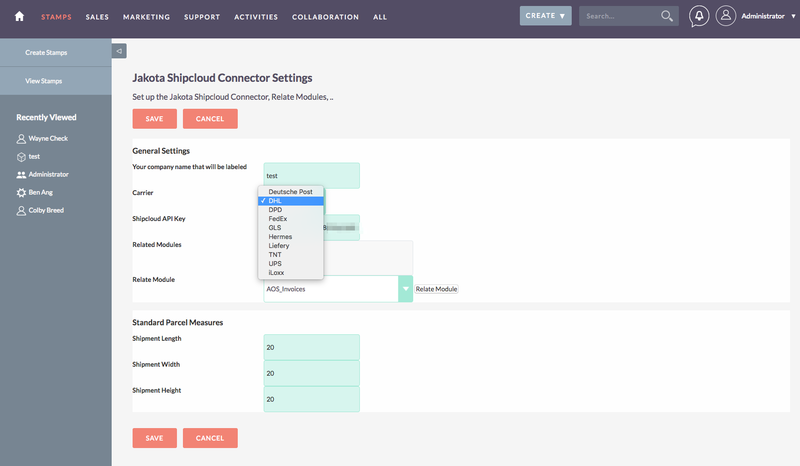 The Shipcloud.io connector comes with a 30 day trial. To use, start a trial here and sign up for a Shipcloud.io acccount. The basic Shipcloud.io pricing plan starts with 0€ for the first month and allows for up to 100 shipments per month.